Can VR Ever Be More Than Just a Game? You're probably not a gamer. Let's face it, with products like the Rift, HTC Vive, Playstation VR (set to release this fall), and even cheaper VR options like the Samsung Galaxy Gear on the market, VR will make most of its money in video games and entertainment, and it'll be a lot. Advisory firm Digi-Capital, which specializes in the VR market, is estimating the VR consumer market (which includes games, hardware, apps, and theme parks) to be worth $30 billion by 2020. In short, VR is going to entertain us -- big time. But is it ever going to be anything more? Can VR move beyond the consumer and find a place in enterprise as well? Plenty of companies are betting yes and use cases are already appearing in product development, design, and even medical technology. How ready for VR is the enterprise market? And for companies interested in VR, how does it become more than just a bell and whistle and actually become an integral part of the product development process? A survey of manufacturers conducted by PricewaterhouseCoopers (PwC) found that about one-third (30.9%) of respondents were on the fence about VR because they have "yet to identify a practical application" for it. Nearly another third (30.9%) stated they did not believe VR technology was "ready for prime time." Other roadblock factors identified by PwC included prohibitive cost, no perceived return on investment, and a lack of technological skills needed to implement VR. That same survey showed that, while about one-third of manufacturers are using or planning to use VR or augmented reality (AR) in the next three years, nearly 90% of those same companies believe that no more than half of all US manufacturers will be using VR/AR over the next decade. Dell's Precision VR line of workstations are the company's first enterprise solutions for virtual reality applications. "At the surface this seems puzzling. But maybe what this is telling us is that adopters of VR/AR may believe they are higher up on the tech adoption curve than their peers," PwC said in a statement. "In any case, as the technology improves and price points lower for headsets and smartglasses, we expect manufacturers to keep finding creative applications to improve productivity, efficiency and, most important, worker safety." But use cases are emerging. "It's across a wide set of industries," Rahul Tikoo, executive director and general manager, Dell Precision Workstations, told Design News. "If you think about engineering and design work, one of the things that we're seeing our customers do now is integrate VR into the design workflows so they can visualize what they design much quicker." 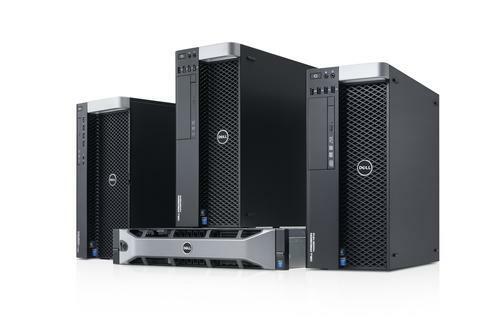 This month computer maker Dell has released its first line of "VR-certified" Precision tower workstations targeted at bringing VR to enterprise applications. The company is calling its product line the first VR solutions targeted at engineers, product designers, and other enterprise users. "The newly refreshed Dell Precision Tower 5810, 7810, and 7910 Workstations and Rack 7910 have been upgraded with new Intel Broadwell EP Processors that have more cores and performance for multi-threaded applications that are ideal for professional modeling, analysis, and calculations," according to the company. Basically these machines are specced out to give users the optimum VR experience in their workplace. Tikoo said Dell's "VR Certification" is based upon benchmark tests conducted with partners like HTC as well as by Dell internally. "We worked with HTC to get the right certification tests that they use in their live optimized suit and we've tested against those to see what kind of experience we get with what level of CPU and what level of GPU. Then we looked at those results between testing with those suits, our partners, and our own tests to define what we believe would be a good virtual reality commercial professional system." And Dell isn't the only company betting that engineers and designers will embrace the VR experience. Earlier this month GPU maker Nvidia announced its Iray VR technology, which promises to bring new levels of image quality to VR, offering designers photorealistic renderings of objects and environments. "Iray VR is going to be unbelievable for people designing cars, for people architecting buildings, and many other areas," Nvidia CEO Jen-Hsun Huang said in a press statement. Last year Ford Motor Co. said that VR was integral in the design of its prototype GT Supercar. Engineers at Ford Immersion Labs working in Germany, China, India, and Brazil were able to collaborate in real-time to examine and adjust parameters of the vehicle using high-definition 3D modeling. VR technology put engineers right in the driver's seat where they could explore every detail of the vehicle from steering to dashboard layout before a car was even built. Ford has also used VR in the past to verify details on virtual prototypes of vehicles like the Fusion and the Mustang. For Karten, the industry with the largest potential for VR is healthcare and medical technology. “In addition to surgical stimulation, which is probably the most obvious use of immersive technology, VR is solving some really challenging problems—such as acute pain, social isolation, phobias, PTSD, and creating more empathy in healthcare,” he said. “For example, a VR platform could enable a lonely post-operative patient to seek psychological support and encouragement from a virtual community. Virtual doctors are helping veterans cope with psychological trauma. Studies have shown that people often trust virtual doctors more so than human ones, due to their consistent, non-judgmental demeanor.” Karten is a founding member of the University of Southern California (USC) Center for Body Computing, which is currently working to create the world's first Virtual Care Clinic wherein virtual doctors can offer on-demand, 24/7 access to healthcare to patients via VR. The 2016 holiday season is looking to become a battleground of consumer VR products, but it's just as true that no market leader has emerged on the commercial end either. 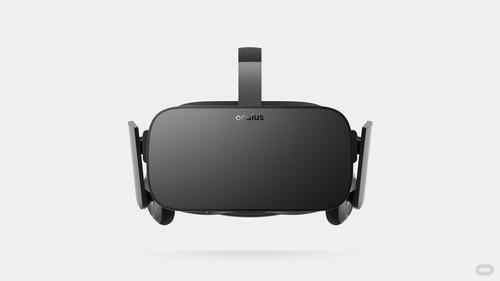 Creating standards around VR is going to be key to its success in enterprise, especially given the wide range and quality of products being offered all the way from cardboard cutouts with a smartphone attached (Google Cardboard) to high-end systems being offered by Dell and its subsidiary Alienware (which is among the first offering the first high-end gaming PC bundles featuring the Oculus Rift).